Cade is a kind of Juniper and is primarily grown in the Mediterranean. It is also known as Prickly Juniper or Juniper Tar. Cade essential oil is manufactured by destructive distillation and then steam distillation. Cade essential oil can be used in soaps and perfumes because it features intense woody, smoky, tar-like and leathery note. Its aroma is helpful in uplifting the spirit and causes a joyful feeling. Learn more about Cade Essential Oil or find a great deal on the best selling Cade Oil from the items below! 100% Pure Therapeutic Grade Cade Essential Oil Botanical Name: Juniperus Oxycedrus Comes in 10ml amber glass essential oil bottle. European Dropper Cap included. What sets Healing Solutions Essential Oils apart is superior cultivation of ingredients that are the best in the world. Combined with superior distillation and bottling care process, We GUARANTEE that our oils are aromatically superior and more effective than any other oils - if you disagree we will refund your money! The Leading Aromatherapy Associations (Alliance of International Aromatherapists (AIA), International Aromatherapy and Aromatic Medicine Association, Aromatherapy Trade Council, and others) all state that essential oils should not be taken internally (regardless of purity or organic origin) unless under the guidance of a health care practitioner trained at an appropriate level . As such, all of our oils carry a label warning that the product is NOT FOR INTERNAL USE. Essential Oil Name: Cade Botanical Name: Juniperus oxycedrus Plant Part: Wood Extraction Method: Steam Distilled Origin: Spain, India, China Color: Clear dark orange liquid. Consistency: Medium Note: Base Strength of Aroma: Medium Aromatic Scent: Cade has an intense, tar-like, woody, dry, smoky phenolic odor. Description: A large evergreen shrub up to 13 feet high, with long dark needles and brownish-black berries about the size of hazelnuts. 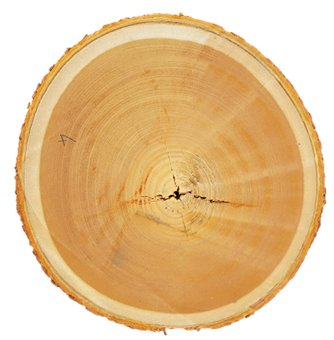 The essential oil is obtained by steam distillation from the branches and heartwood. Silky Scents EO218-15ML Cade Essential Oil, 100 Percent Pure Therapeutic Grade - 15 ml. Silky Scents EO218-5ML Cade Essential Oil 100 Percent Pure Therapeutic Grade - 5 ml. Aromatic Description: Cade has an intense tar-like woody dry smoky phenolic odor. Perfumery Note: Base. Aromatherapy Properties: (Uses). A large evergreen shrub up to 13 feet high with long dark needles and brownish-black berries about the size of hazelnuts. Cade Essential Oil is often used as an ingredient of liniments and ointments for chronic skin diseases of the scaly and moist types such as eczema psoriasis prurigo parasitic disorders and various types of ringworm. Properties of Cade Oil include being analgesic anti-microbial anti-pruritic antiseptic disinfectant parasiticide and vermifuge. Blends well with: Cedarwood Virginia Clove Bud Labdanum Oregano Wild Crafted. 100% Pure Essential Oil Capacity - 5 ml. Silky Scents EO218-10ML Cade Essential Oil 100 Percent Pure Therapeutic Grade - 10 ml. Aromatic Description: Cade has an intense tar-like woody dry smoky phenolic odor. Perfumery Note: Base. Aromatherapy Properties: (Uses). A large evergreen shrub up to 13 feet high with long dark needles and brownish-black berries about the size of hazelnuts. Cade Essential Oil is often used as an ingredient of liniments and ointments for chronic skin diseases of the scaly and moist types such as eczema psoriasis prurigo parasitic disorders and various types of ringworm. 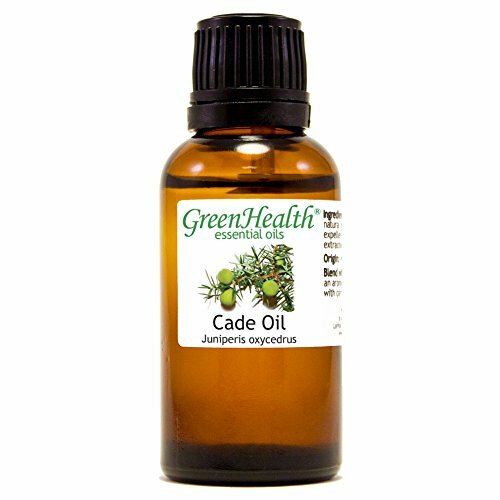 Properties of Cade Oil include being analgesic anti-microbial anti-pruritic antiseptic disinfectant parasiticide and vermifuge. Blends well with: Cedarwood Virginia Clove Bud Labdanum Oregano Wild Crafted. 100% Pure Essential Oil Capacity - 10 ml. Silky Scents EO218-1OZ-30ML Cade Essential Oil 100 Percent Pure Therapeutic Grade - 30 ml. Aromatic Description: Cade has an intense tar-like woody dry smoky phenolic odor. Perfumery Note: Base. Aromatherapy Properties: (Uses). A large evergreen shrub up to 13 feet high with long dark needles and brownish-black berries about the size of hazelnuts. Cade Essential Oil is often used as an ingredient of liniments and ointments for chronic skin diseases of the scaly and moist types such as eczema psoriasis prurigo parasitic disorders and various types of ringworm. Properties of Cade Oil include being analgesic anti-microbial anti-pruritic antiseptic disinfectant parasiticide and vermifuge. Blends well with: Cedarwood Virginia Clove Bud Labdanum Oregano Wild Crafted. 100% Pure Essential Oil Capacity - 1 oz-30 ml. Silky Scents EO218-15ML Cade Essential Oil 100 Percent Pure Therapeutic Grade - 15 ml. Aromatic Description: Cade has an intense tar-like woody dry smoky phenolic odor. Perfumery Note: Base. Aromatherapy Properties: (Uses). A large evergreen shrub up to 13 feet high with long dark needles and brownish-black berries about the size of hazelnuts. Cade Essential Oil is often used as an ingredient of liniments and ointments for chronic skin diseases of the scaly and moist types such as eczema psoriasis prurigo parasitic disorders and various types of ringworm. Properties of Cade Oil include being analgesic anti-microbial anti-pruritic antiseptic disinfectant parasiticide and vermifuge. Blends well with: Cedarwood Virginia Clove Bud Labdanum Oregano Wild Crafted. 100% Pure Essential Oil Capacity - 15 ml. Silky Scents EO218-10ML Cade Essential Oil, 100 Percent Pure Therapeutic Grade - 10 ml. Silky Scents EO218-5ML Cade Essential Oil, 100 Percent Pure Therapeutic Grade - 5 ml.